Frank (Felix) Bartlet Adler was born in Clinton, IA on June 17, 1895 to parents Nettie and Joseph Adler. In Adler's early years he worked for a local pharmacist who offered to send young Felix to Chicago Pharmacist College, however at age 15 he left home and began working in vaudeville and burlesque. 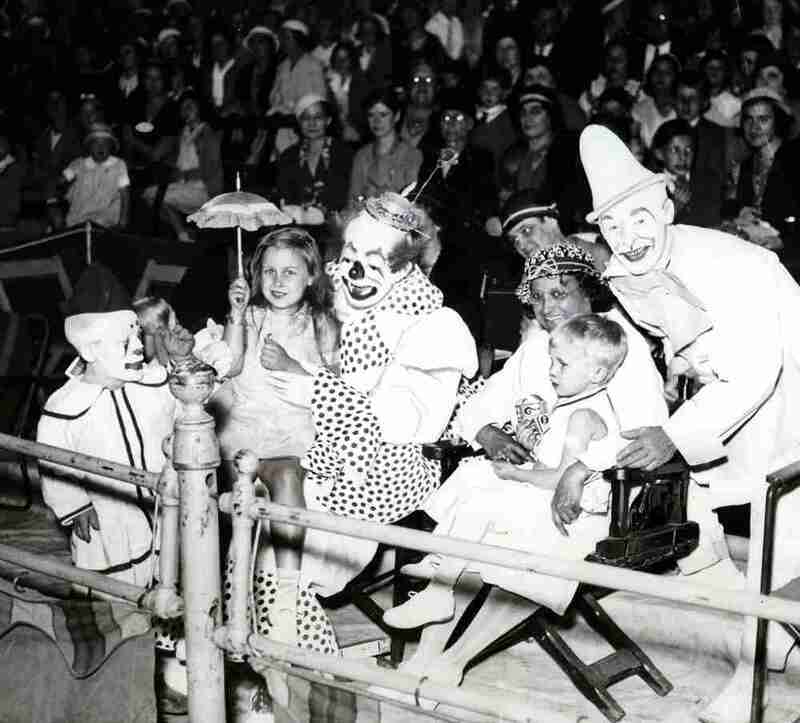 Accounts differ as to when Felix first began working with the Ringling Bros. Circus. 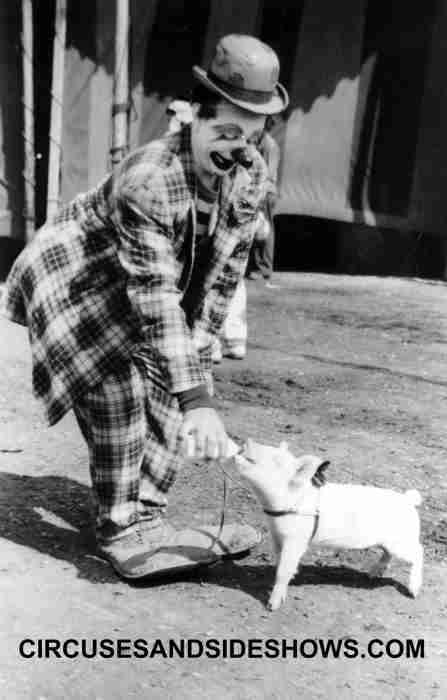 His first duties on the show was not as a clown, he performed several jobs including working with a troupe of Chinese acrobats. Adler left the show during World War I to serve in the United States Army, and then returned at the end of the war. 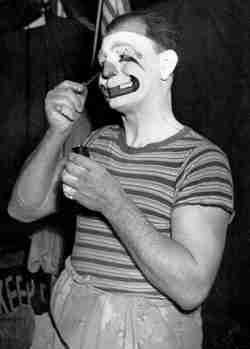 Adler's clown whiteface "grotesque" makeup is easily recognizable, as his image has appeared on posters, postcards, paintings, figurines and collectible dinner plates. 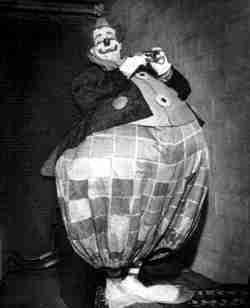 Felix acquired the moniker of "The White House Clown" due to his many appearances for U.S. presidents, their children and grandchildren, Adler performed for presidents Warren Harding, Calvin Coolidge, and Franklin D. Roosevelt. In 1943 Felix was invited to F.D.Rs 61st birthday party recognition of his visits to children's hospitals. 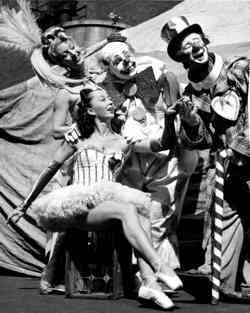 In 1948 Felix Adler married Amelia Irwin (born Sept. 1, 1919), who also was a circus clown, they reportedly were the first American husband and wife clown team. During Adler's career, he appeared in movies and TV shows including The Greatest Show on Earth (1952), The Jackie Gleason Show, Person to Person, Howdy Doody Show, Super Circus and Martin Kane Private Eye. Amelia Adler also appeared on "Whats My Line". After the Ringling Bros. and Barnum & Bailey left their tent behind and began performed indoors Amelia Adler was dissatisfied stating that "It wasn't the same". The Adlers left Ringling in 1959. Frank (Felix) Bartlet Adler died at age 65 on February 1, 1960, in New York City during surgery for ulcers. Amelia Adler died June 16, 1999. In 1993 The Felix Adler Children's Discovery Center was opened in Clinton, Iowa, to honor Adler's desire to entertain and teach children of all ages. Each year in June the city of Clinton, Iowa celebrates "Felix Adler Days". On May 15 1992 Felix Adler was inducted into the Sarasota's Circus Ring of Fame. 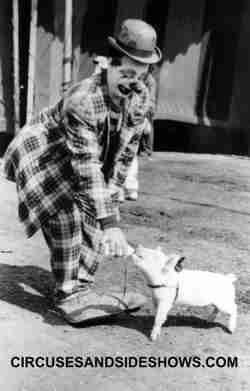 In 1989 Felix Adler was inducted into the International Clown Hall of Fame. 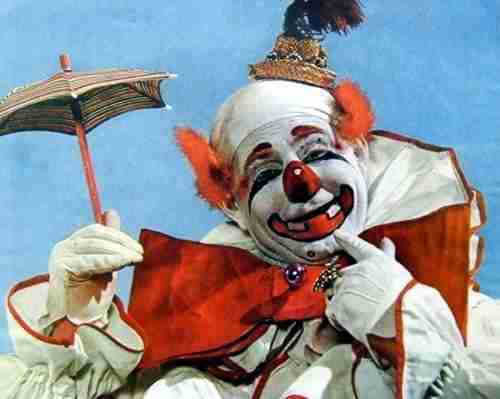 In 1972 Felix Adler was inducted into the Circus Hall of Fame. Paul Jerome on the right.